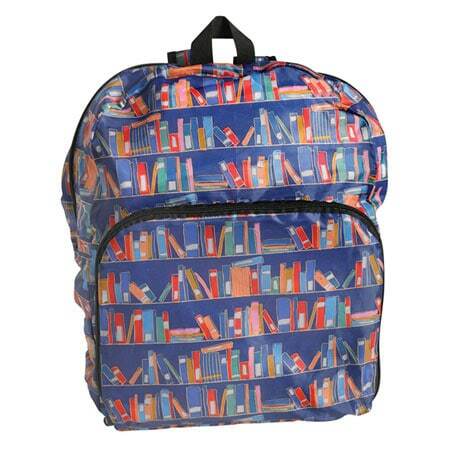 For readers who prefer to go hands free, our 16"x12"x5" Bookshelves Backpack will make it easy to haul your books on the go. It's lightweight, but sturdy; large enough to cart books or overnight gear, yet conveniently packs down to a 12"x10" pouch for easy storage. You can even toss the polyester bag into the washing machine when it gets a little grimy! 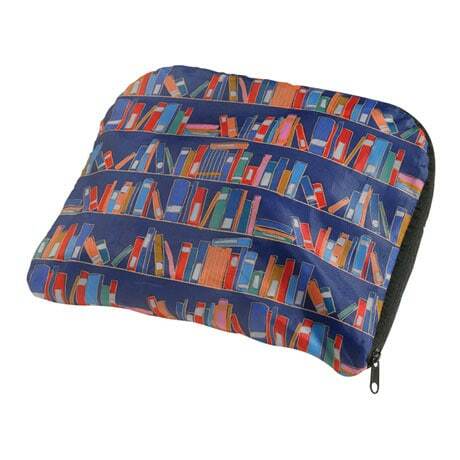 And did we mention the cute, colorful bookshelf pattern? Red, orange, yellow, green, blue, and pink tomes line up against an indigo-blue background, so you can proudly proclaim your literary proclivities as you tote your gear to and fro.